Do you have a warrant out for your arrest in Travis County, Texas? Don’t live in fear of getting arrested any longer. Call ATX Bail Bonds at 512-834-2245 and a bail bondsman can help you clear an arrest warrant quickly with a walk-through. If you’re unsure if you have an outstanding warrant for your arrest, you can use our Warrant Search Tool. Simply enter your information and the database will search for an active warrant in Travis County. If you need help, or are not sure what county the warrant originated from, call ATX Bail Bonds for help. Our bail bondsmen are happy to help you find the information you need. A walk-through is a fairly quick, easy way to get rid of an arrest warrant without getting arrested and spending time in jail. Reach out to a trusted bail bondsman, and he will accompany you to the jail for a self-surrender. By bringing a bail agent, you will not have to spend time waiting in jail. When you arrive at the jail, your bail bond agent will accompany you to the bonding desk where an officer will search databases for active warrants. Once it is located, you will be taken into custody. An officer will verify your personal information, fingerprint you, and take booking photos. The jail will then accept our bond, clearing your warrant. You will receive a copy of the bond. It is important that you keep all this information and bring it on your court date. There are many benefits to having a walk-through. Most importantly, you avoid the apprehension and inconvenience of an arrest. By turning yourself in to the police, you avoid the embarrassment and stress of getting arrested. You also show the court that you were cooperative with law enforcement, which can be beneficial when it’s time for your hearing. A walk-through is a good option for people who have an outstanding arrest warrant. It saves time, hassle, and can potentially save you money. 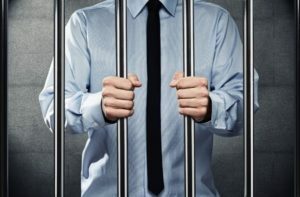 By using a bail bondsman, you don’t have to pay the full amount of bail. Depending on what charges you are facing, this could be a significant amount of money. For help with a walk-through or other bail services in Austin, TX, call 512-834-2245. ATX Bail Bonds is here to bail you out!